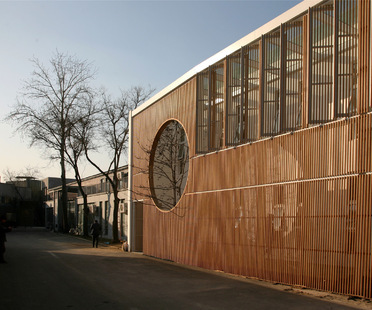 Architect He Wei restored an industrial building in Beijing and made it into a Zen & Tea Chamber. 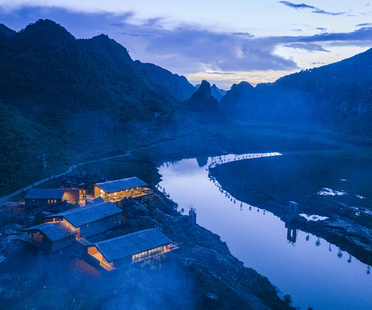 In view of the continued importance of places of this type in the east, He Wei opens up the building for dialogue with the street, making the Zen & Tea Chamber into a landmark. 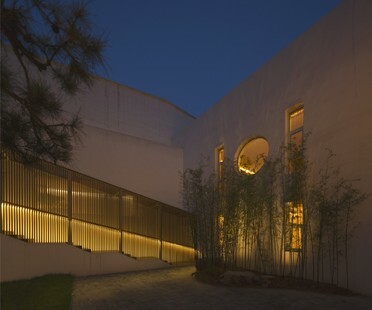 Chinese architect He Wei has transformed a disused factory from 1970 into a Zen space, where you can enjoy a refreshing cup of tea, with meditation pathways and a large garden inspired by ancient Chinese culture, all in the heart of Beijing.